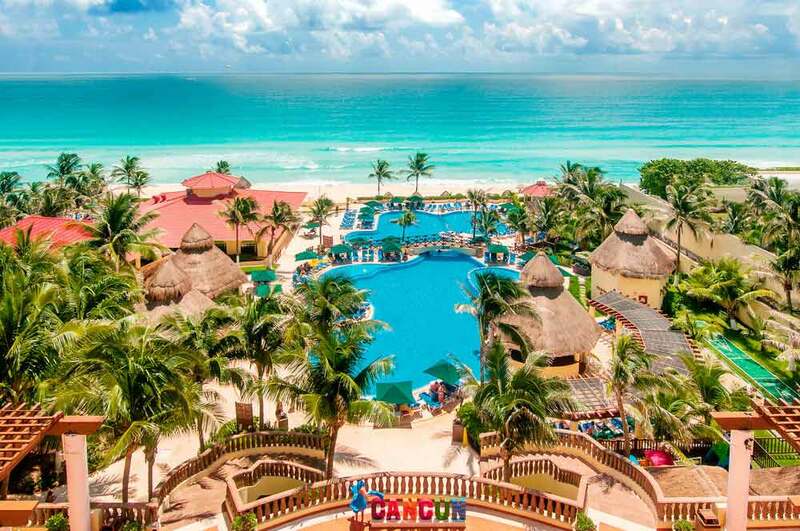 Whether your travel itinerary takes you to Mexico for business or pleasure, when researching for suitable accommodations, you’ll want a short list of some of the top Cancun hotels. From budget-friendly and moderately priced hotels with a variety of features and amenities to superior luxury suites and all-inclusive selections, there’s a hotel to please the palate of the most discerning traveler. 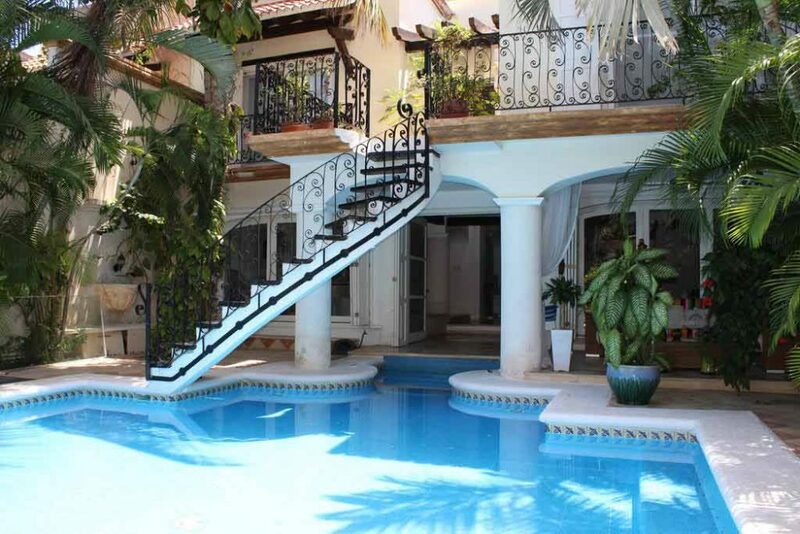 Less than 5 miles from City Center, this elegant establishment with its winding staircase to the outdoor pool and garden area features five delightful villas. Savor the flavor of continental breakfast each morning, relax on the terrace, or sunbathe by the pool. When the mood strikes, there’s nearby shopping, swimming at Caracol Beach, or teeing off at the local golf course. This destination blends the perfect cocktail of privacy, romance, and entertainment. For the price, it doesn’t get any better than this all-suites resort situated on the beach with stunning views for miles. Enjoy all that the resort’s 207 condos offers, which includes invigorating spa services, two refreshing pools, and three tennis courts. When you want to get out and about to visit points of interest, the hotel offers free shuttle service to area attractions. Nestled on a private beach, the 399-guestroom hotel offers beautifully detailed rooms and suites featuring modern conveniences and decor. Look out at the ocean each morning, have breakfast, then get a beach umbrella and make your way to the sandy shoreline. 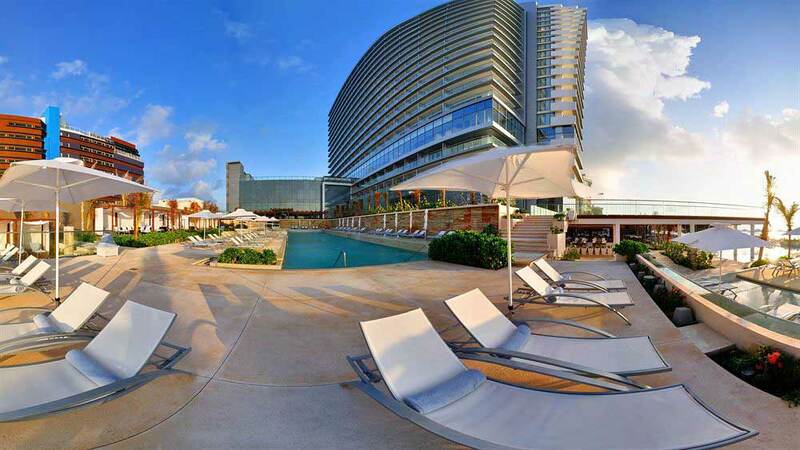 A 24-hour fitness center will keep you toned and two outdoor pools will keep you tanned. 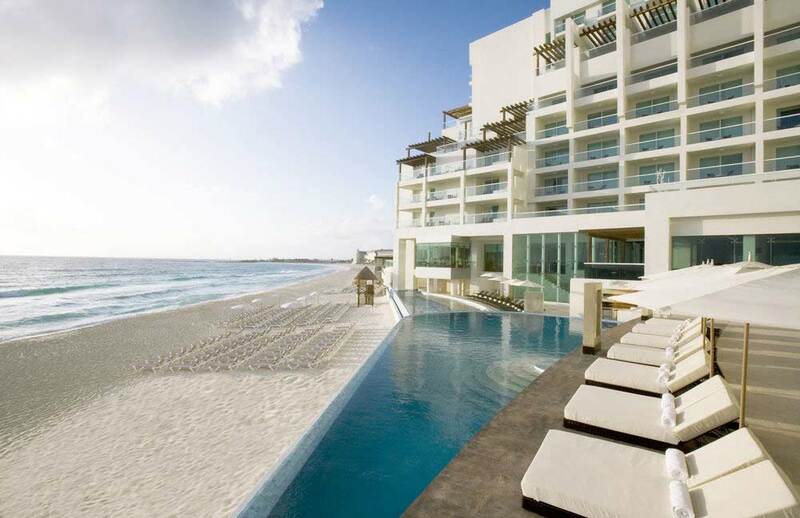 You’ll feel like part of the ocean with tranquil blue waters gently undulating right outside your door. 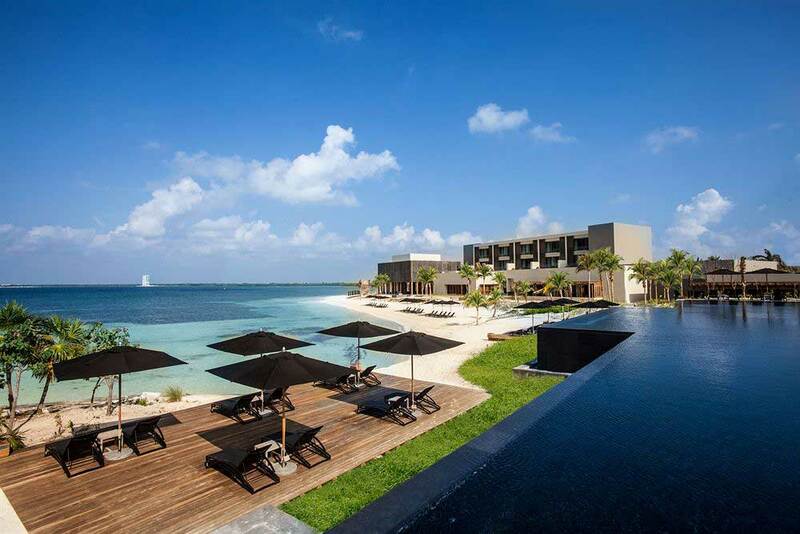 Walk over a water pathway to the outdoor terrace, lounge under a beach umbrella, dip your toes in the pool, or enjoy a relaxing massage at the spa. Situated in a cozy cove-like atmosphere, the palm-lined beach is just a stone’s throw away from the 602-room hotel. 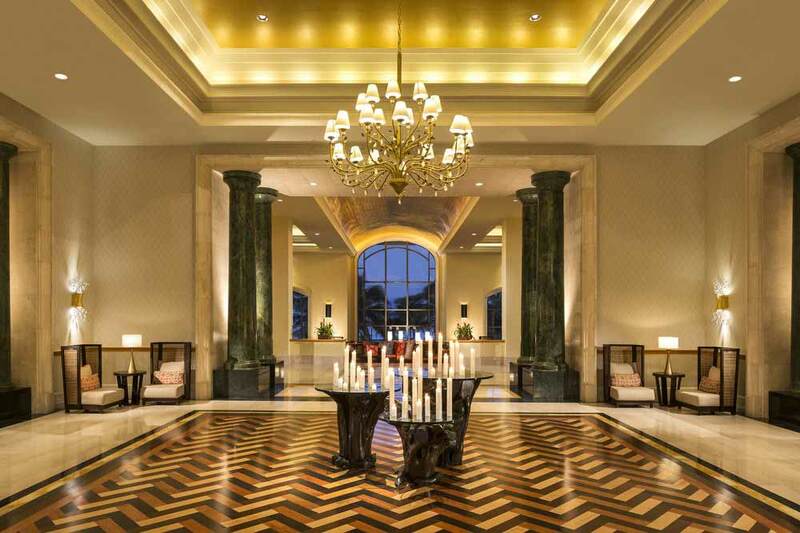 Enter an opulent lobby setting to check in then head to a luxurious room with all the trimmings. Sate your appetite at one of 10 restaurants and soothe your spirit with a spa treatment. Relax on the terrace, by the indoor or outdoor pool, enjoy the ocean view from the fitness center, or catch the setting sun from the rooftop terrace. Schedule in-room childcare then head out to sample the city’s nightlife. 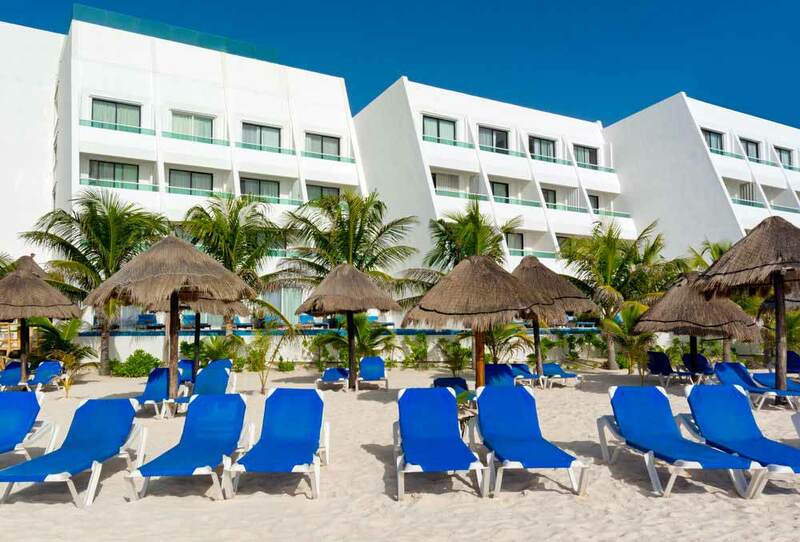 Guests have given high marks for the hotel’s superior location and beautiful beachfront, on-point service, and overall value. You’ll wake up each morning in a stylish and modernistic suite or guestroom with an array of features and amenities designed to elevate your comfort level. 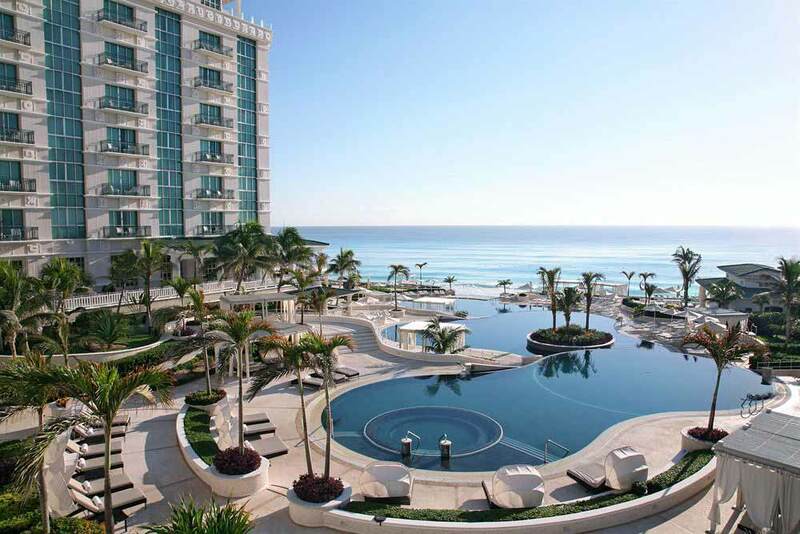 Relish the views of the ocean from the rooftop terrace, soak up the flavors of Cancun while dining indoors or at the outdoor food court, or refresh your body and taste buds at the sparkling pool bar. 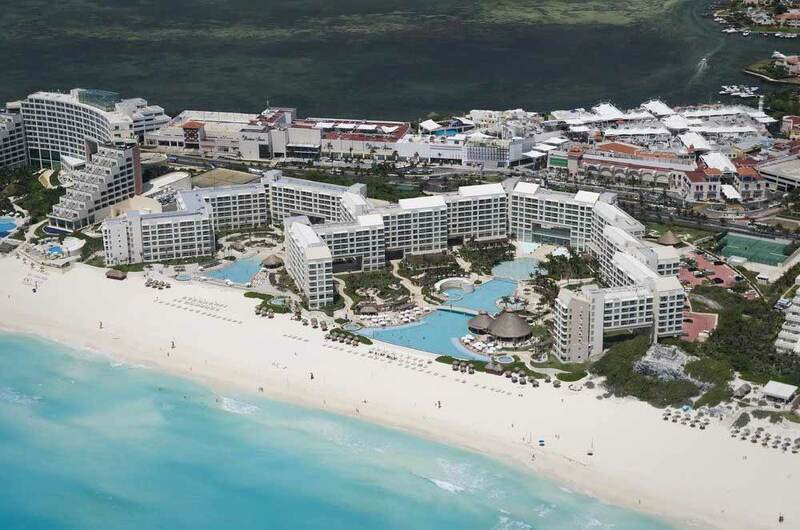 For extra fun, visit the nearby Tequila Museum and the Cancun Interactive Aquarium. If you’re looking for privacy and an exceptional stay, choose this outstanding resort, which has earned the Gold Award 2017. Choose a deluxe room, garden suite, or enjoy a romantic holiday in a private villa then head to the private beach to soak up some rays. When you want to enjoy the nearby points of interest, take advantage of the resort’s limo/town car service to get you where you want to go. 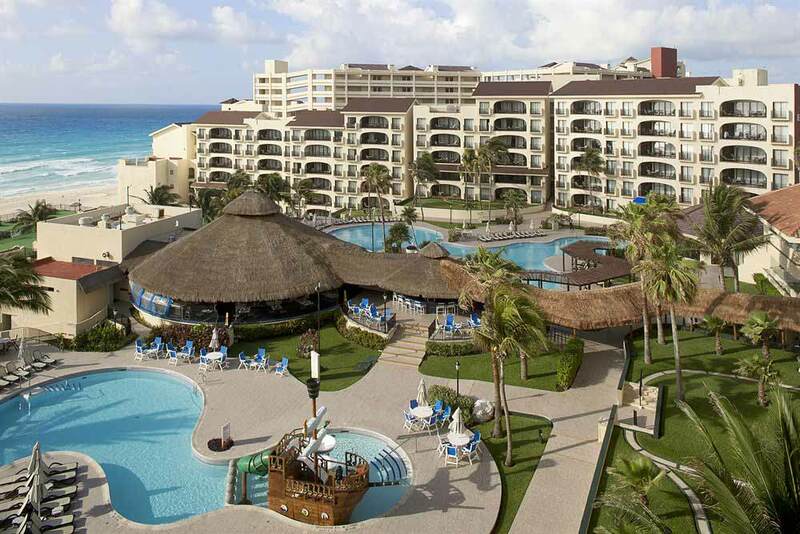 Premium rooms and luxury suites await at this 448-room smoke-free resort on the beach. Spend each day relaxing in one of four pools, working out at the fitness center, perusing the menu at one of the eight restaurants, or taking in the view from the rooftop terrace. For your convenience, in-room childcare is available when you need a little time for yourself at the spa. Situated on the beach, this family-friendly resort knows how to provide a complete vacation experience from the moment of arrival. With outdoor pools, tennis courts, spa services, entertaining supervised kid’s activities, and local points of interest just minutes away, each day guarantees fun and excitement for everyone. 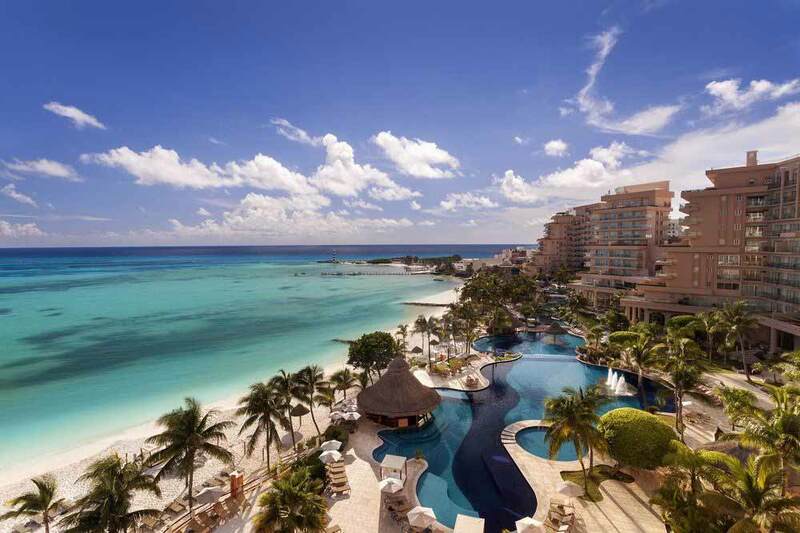 With four outdoor pools and the Caribbean just steps away, the hotel looks like it’s floating on azure ocean water. From the full-service spa and seven restaurants to a marina and a vibrant nightclub, there’s something to do from morning until late at night. 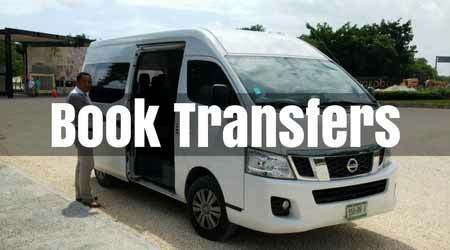 Guests staying at the hotel have noted that the service is fantastic and the hotel has an awesome vibe. That is a winning combination. 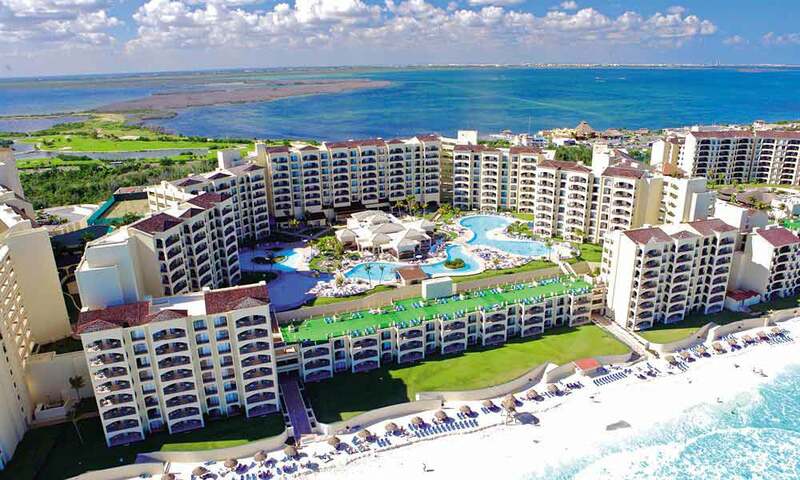 At this 4-star all-inclusive hotel, stroll along the inviting beach, soak up the atmosphere in one of the free beach cabanas, or challenge your partner to a set of tennis. Your every need is taken care of by staff at the 24-hour front desk including in-room childcare. At day’s end, enjoy a sumptuous meal and unwind with a favorite beverage on the rooftop terrace. Relax at this all-inclusive spa with scenic views of the sugar-sand beach leading to the turquoise waters of the Caribbean. Choose your pleasure in rooms with beachfront, ocean, or lagoon view each featuring a light and airy atmosphere. Start each day with a free breakfast buffet before heading to the marina, pools, spa, or health club. Nearby attractions are just minutes away for a day of sightseeing. For those who want to enjoy beauty, tranquility, and togetherness, this couples only all-inclusive oasis should be your next destination. Unwinding and dining are on the agenda with indoor and outdoor pools, four restaurants to please the palate, and two poolside bars with delectable libations. If that isn’t enough, indulge your senses at the full-service spa.